Caught the train down to Windsor today to check out the castle. 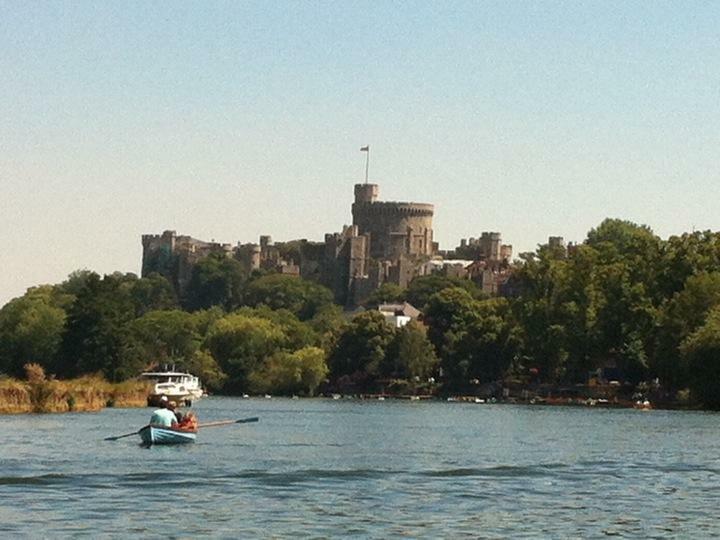 Did the Duck tour so went around the castle and grounds and then onto the river Thames. Windsor Castle has 5 1/2 miles of corridors and covers 13 acres. Lots of people enjoying the sunshine. Eton College (where Wills and Harry went) is just down the road and it costs £35000 a year for tuition.